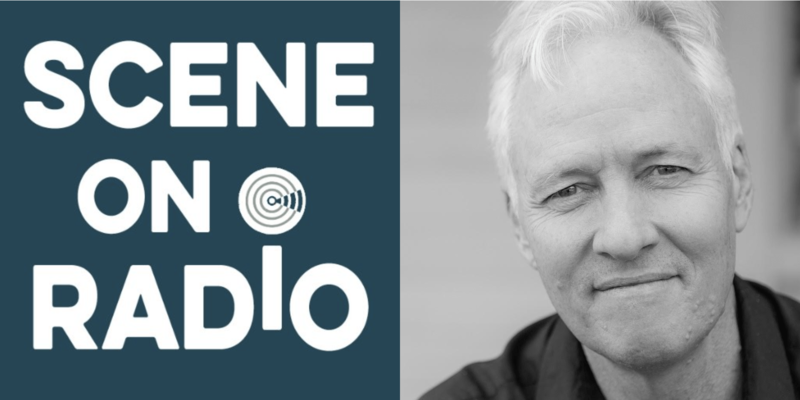 John Biewen is audio program director at the Center for Documentary Studies at Duke University and the host and producer of their podcast, Scene on Radio. His documentary work has taken him to Europe, Japan, India, and forty American states and has appeared on NPR, This American Life, and the BBC World Service. At CDS, Biewen teaches audio to undergraduate and continuing studies students. He is co-editor of the book Reality Radio: Telling True Stories in Sound. Biewen has been traveling around the country presenting Seeing White, a special series of Scene on Radio, with Dr. Chenjerai Kumanyika. Seeing White focuses on three core questions: Where did the notion of whiteness come from? What does it mean? And what is whiteness for? Sophia Steinert-Evoy met up with Biewen at a Seeing White event in New York and followed up over the phone to talk about the series and Biewen’s path from public radio to podcasting. Steinert-Evoy: Listening to your work, it seems geography has always played a big role. Do you feel your location influences you? Biewen: I think it’s significant. It’s not in the front of my consciousness that I’m reporting from the hinterlands or telling stories about the heartland. But it’s a fact that I’ve lived my whole life in flyover country: Minnesota, Utah, and now North Carolina, in medium-sized places. I like living in a place like Durham. You can get from one side of town to another in twenty minutes, but it also has a diversity of people and of things going on, and some good food. I also come from a smaller place, a town of 30,000 or so, in the middle of a rural area surrounded by corn and soybean fields. That’s where I grew up. So I’ve always had a comfort level there and have spent a lot of time telling stories about people in those places. I mean, I don’t have some notion about places between the coasts or outside of the major cities being more real or more American than New York and San Francisco. That’s baloney. But they are equally interesting. A telling fact comes to mind. When I was working for Minnesota Public Radio years ago and was an ambitious young guy who thought, “Yeah, maybe I’d like to work at NPR at some level,” I never thought I’d like to go to D.C. and report on what’s going on in Congress. The only job that I actually lusted over was Howard Berkes’ job. He was their Rocky Mountain correspondent, based in Salt Lake City and traveling around the Rocky Mountain West. The pieces that he did—now I’m talking about 25 years ago—tended to be longer and rich with sound and scenes. He’d be out there on somebody’s ranch or in the mountains somewhere, and there was a feeling of him taking the listener out into the woods or the wilderness. That was the kind of work I wanted to do. Then lo and behold, it was 1997 and I’d been doing a fair amount of stuff for NPR from Minnesota, and Howard goes on leave to do a Nieman Fellowship at Harvard. I applied and got hired to fill in for him for a year, from 1997 to 1998. Steinert-Evoy: So in the late 90s you were NPR’s Rocky Mountain correspondent? Biewen: It was just for a year. Then during that year Bill Buzenberg, who had been the News Director at NPR, went to Minnesota Public Radio and he and Stephen Smith created American RadioWorks. When I was in Salt Lake City, Bill was calling me up and saying, “Would you come back and be a part of American RadioWorks?” So that’s what I did. For eight years, I worked for American RadioWorks, based in St. Paul. Steinert-Evoy: How did you begin, then, at the Center for Documentary Studies? Biewen: American RadioWorks actually had a relationship with CDS because of a collaborative project my colleague had done with them. We reached out to CDS in 2001 and said I was thinking about moving to the [Raleigh–Durham–Chapel Hill] Triangle. They were in the process of trying to start an audio program. So they said they would offer office space, and then try to see if I could be of use once in a while. That was really how undefined it was. And so when I moved to Durham, in 2001, I was still full-time with American RadioWorks, but within a year or two CDS was asking me, “How would you feel about teaching a continuing education class in audio production?” and “How would you feel about doing a summer boot camp course?” Then a few years in: “Would you considering teaching a semester course to Duke students?” Within three years or so they started paying part of my salary, and in 2006 I became full-time with them. Steinert-Evoy: You’ve really built that program from the ground up. Biewen: Well, in a way, that’s right. CDS didn’t have an audio program to speak of. They had been really strong in photography and had a film festival and taught documentary writing. But they didn’t have anybody teaching audio courses. And when CDS decided to take me on full-time as audio program director, they become a radio production house in the process. The teaching takes less than half my time, and the bulk of my job has been to produce stuff. For years I was doing these ad-hoc, one-off projects aimed at the public radio system. I’d make this special for PRX, or I’d make a piece for This American Life or Studio 360. And then, like a gazillion other people, I started thinking about shifting to podcasting. I really had to think about it. I really had to get convinced it was the right thing and get a clearer sense of what a CDS podcast would be. And finally, when that happened, we launched Scene on Radio in the fall of 2015. Steinert-Evoy: So Scene on Radio is the first project that you’ve ever started on your own and have had complete control over. Biewen: That’s right. I always thought of myself as someone who was making pieces. And I was comfortable with that; I was totally happy. Except that it got increasingly confining, especially as NPR, for example, was closing all of the windows for airing anything longer than about five minutes. For years, in the 90s and early 2000s, I produced a string of 10, 12, 15 minute pieces for the Weekend Edition. That was one place you could still get a 12 minute documentary piece on the air. I felt great about the fact that I could air these longer pieces on NPR, and be heard by two or three million people. But those shows got new leadership around the late 2000s, and they basically said they weren’t going to air anything longer than 5 or 6 minutes. In the meantime podcasting was really growing up and feeling like a grown-up thing to do. I wasn’t early to the party by any means, but finally I was convinced and I couldn’t be happier about having made the move. Steinert-Evoy: What was your mission with Scene On Radio? Can you explain the impetus behind the show? Biewen: I realized the theme would be this question of who are we as a country and whether we can get along. The social justice mission was there in varying degrees of explicitness. I’m happy to do stuff that isn’t directly or overtly social justice-oriented, but most of the time there’s an either explicit or implicit social relevance about it. How are we doing with this idea of being an equitable multiracial and multicultural society? And looking at all the other social divisions that we have — how are we doing with economics, gender, sexual orientation and everything else? But the initial vision was of an ongoing show that would come out every two weeks. It would be going year-round, with maybe a summer break, and it would be a hodge-podge of my new work, my old work and some student work. There would be an occasional piece I would acquire from other producers, with an emphasis on voices of color, to try and provide a platform for emerging producers in that regard. That’s what the first season looked like. But by the second season, the cupboard was already running bare in terms of past projects of mine that seemed worthy of being repurposed and the very best of the student work. And when Seeing White really gained traction in a way that the show hadn’t up to that time, the audience of the show grew twenty-fold or something. Then my sense of Scene on Radio shifted, and I’ve now decided we’re going to put out seasons that are thematically focused and that will largely be produced by me with some help, with less of a concern about including student work. Though if a student makes a piece that fits with the theme we’re doing and is really great, I’d be happy to include it. Steinert-Evoy: That seems like a freedom podcasting lends that wouldn’t have been available for a radio show. There’s room for growth and evolution. Biewen: Exactly. When I thought of myself as a public radio producer, I never had any interest in creating a show or being a host. I just thought, “That’s what somebody else does. That’s not a strength of mine.” So when we created the CDS podcast, I thought we were going to make pieces and since I’m the only person here I guess I’m the host; I’ll go on and say something to introduce the piece. But it’s interesting then with something like Seeing White, where I actually found I really enjoyed figuring out how to frame these pieces and establishing a certain kind of tone and relationship to the audience. And so I’ve embraced that role of the podcast host. Steinert-Evoy: What I find inspiring about you is that you did everything you wanted to do, and then this new field of radio blossoms and you’ve embraced it. Do you feel you’re still growing as a radio maker? Biewen: Absolutely, oh yeah, and I’m a little old to still be growing. But yes, I feel like this is a somewhat late career shift. To my honest surprise, when I first heard the word “podcast” in maybe 2005, I remember thinking it was a nifty thing for people who weren’t already established in radio to get their stuff heard. Over time there were shows like 99% Invisible, which I think of as having broken new ground in being the first podcast that was both high-profile and considered really cool. They made it seem like a grown-up thing to do. One thing I’ve learned is that quality and focus, giving people an experience, a journey they can go on that goes deeper into one set of ideas, has become much more attractive. I feel I can go away for months and then come back with another series and if it’s strong, people will come back. I’ve had the absolute privilege of being at CDS where my superiors and my colleagues basically say, “Go for it, figure it out.” I’m on a salary, and there’s no particular pressure to monetize or be worried about the size of the audience. It’s just, let’s see what happens with this and me going to them to say, “I now see the thing ought to be more like this.” They say, “OK, great! Makes sense.” That’s a luxury most podcasters don’t have and meanwhile it’s the main part of my job. A lot of people think that I’m doing Scene On Radio in my spare time while teaching a full load, but that’s not the case. It’s my main job, so I’m very lucky. Steinert-Evoy: We’ve talked about Scene On Radio and how it came about. My last question is about a specific series within that show, Seeing White. Do you think of the series as educational? Biewen: What you hear in the first episode is a pretty direct reflection of the way I thought about the series and how it came about. We’re going to turn the lens and ask, “What the hell is up with white people?” And we’re also going to ask questions like, “Where did we get this whole race thing?” and “How can we learn to see how white supremacy works in ways that we’re not accustomed to seeing?” Those are really didactic questions. If you’re going to actually try to answer them, it’s going to turn into something that’s very direct. Then with the role of Chenjerai Kumanyika, who is an activist and a professor, and who was absolutely not shy about saying, “Let’s learn something here,” I decided, all right, that’s what this is going to be. Still, you try to do it in such a way that you’re not lecturing or talking down. But that was easy for me because I feel this project’s natural audience is people like me. Which is, people who want to be anti-racist and think they have the right attitudes but have a hell of a lot to learn. People who really don’t get things all that well to start with. So I hope that that’s how I came across, because it was honest. Sophia Steinert-Evoy is Podcast Review’s interviews editor, she also works on The Organist podcast from KCRW and Citations Needed. She is based in Brooklyn, NY.